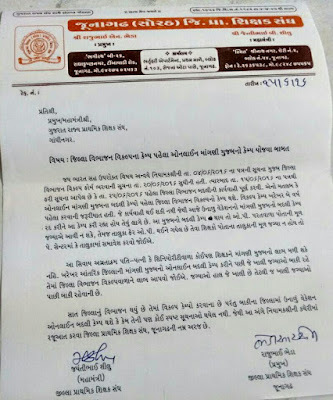 MAHESANA :- VISHV YOG DIN NI UJAVANI BABAT PARIPATRA. 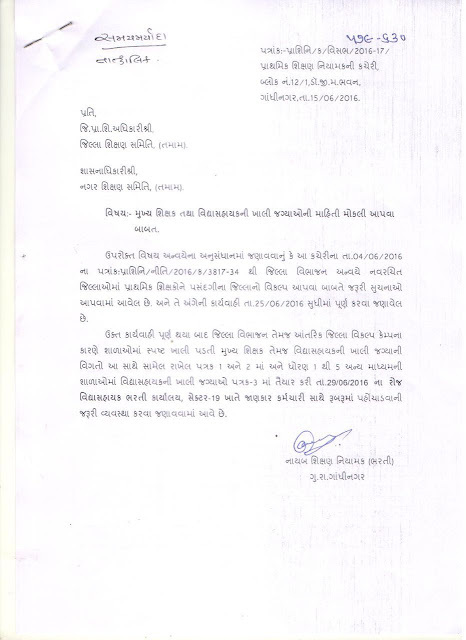 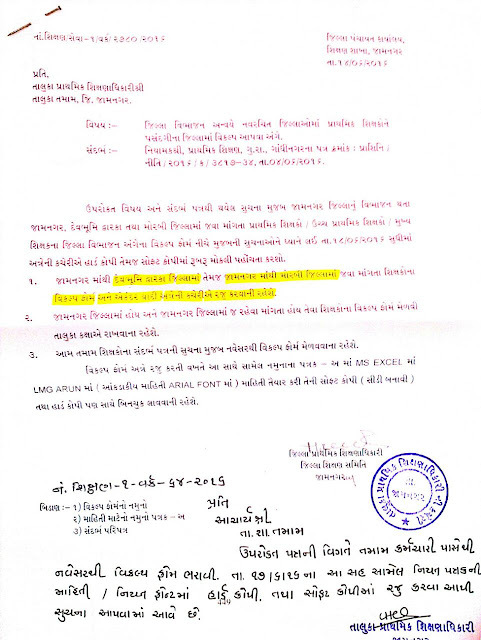 BANASKANTHA:-SHALA PRAVESHOTSAV DARMIYAN JOVA MALEL KSHATIO BABAT JILLA SIXAN SAMITI NO LETTER. 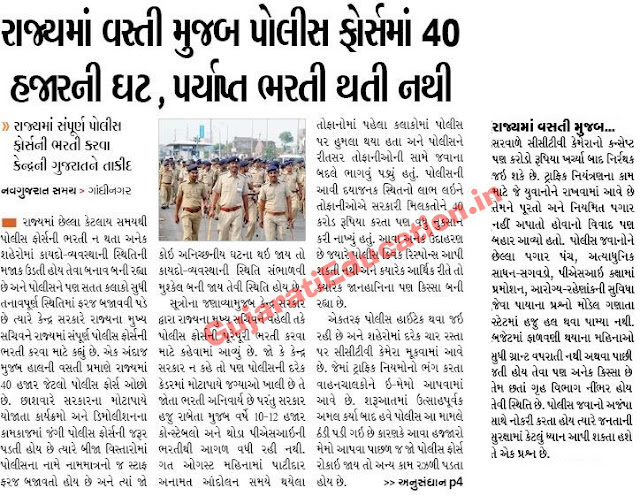 RAJYA NI VASTI MUJAB POLICE FORCE MA 40000 NI GHAT :- NEWS REPORT. 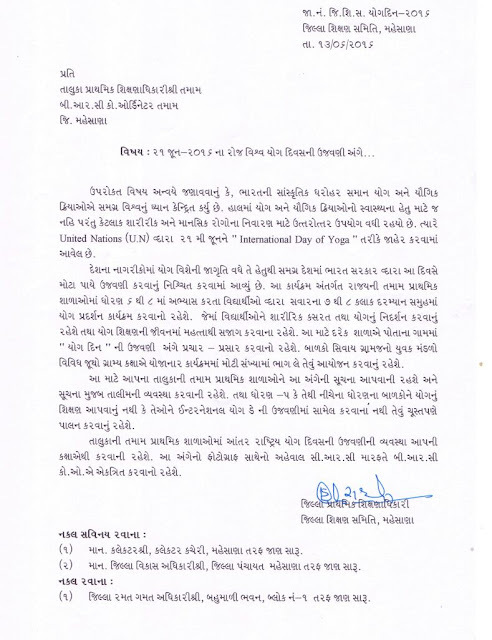 GANDHINAGAR :- JAMIYATPARA SCHOOL MA RAJY NO SAU PRATHAM BAL-KILLOL PROJECT. TET -1 PASS CANDIDATES NI BHARTI BABAT GAI KAL NO NEWS REPORT. 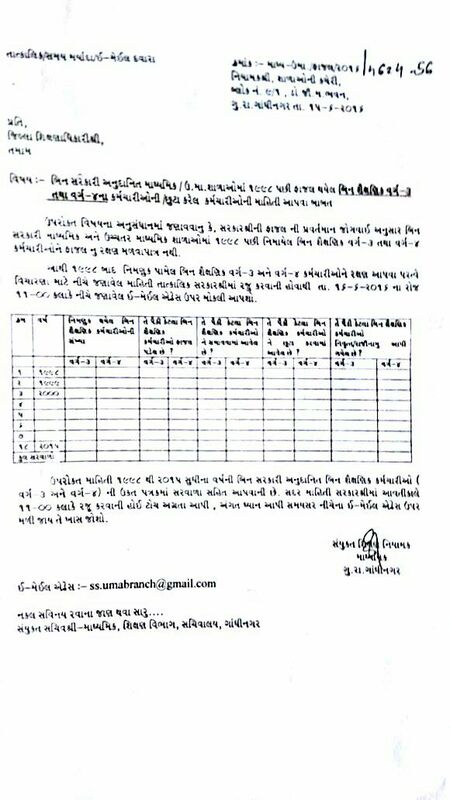 SATMA PAGAR PANCH MUDDE RAIL KARMCHARIO 11 JULY THI HADTAL PAR. 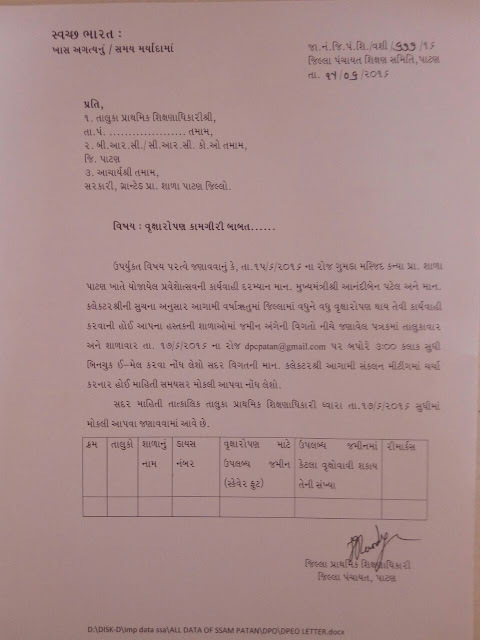 NARMADA :- VISHV YOG DIN NI UJAVANI BABAT PARIPATRA. 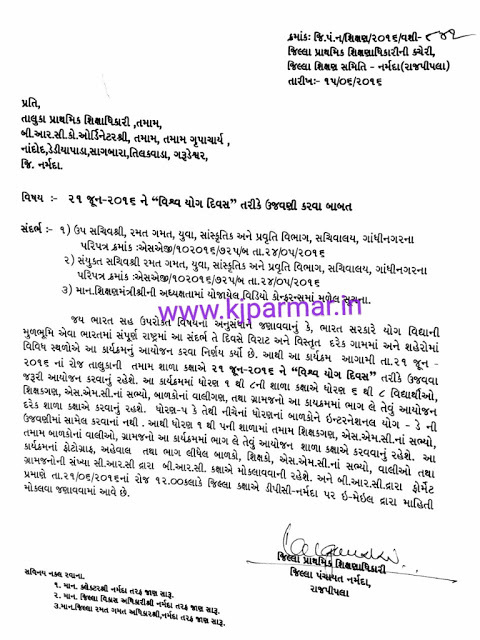 TAMAT JILLA NA A.T.D. TEACHER - VYAYAM TEACHER (C.P.ed - D.P.ed - B.P.ed - M.P.ed ) ANE MUSIC TEACHERS NI MAHITI MOKLI AAPVA BABAT TO SACHIV SHREE NO LATEST PARIPATRA. 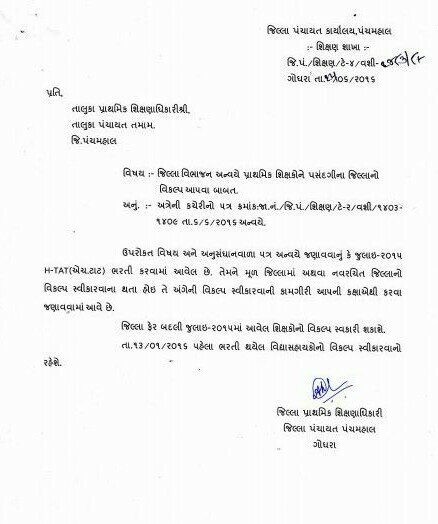 GRANTED SCHOOLS MA 1998 BAD NIMNUK PAMEL KARMCHARIO NI MAHITI MOKALVA BABAT PARIPATRA DATE :- 15/06/2016. 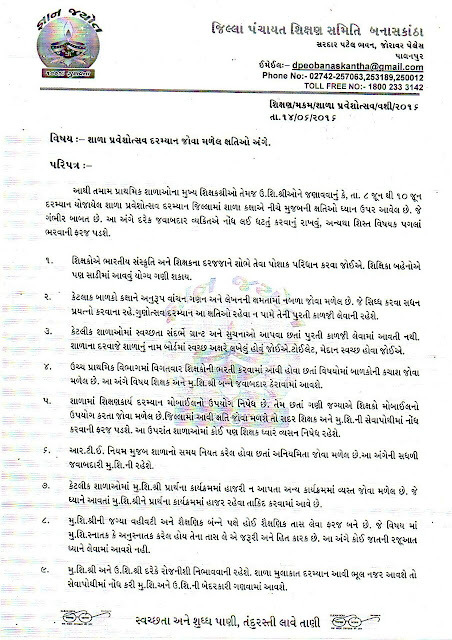 PATAN :- SCHOOLS MA VRUKSHAROPAN KAMGIRI BABAT PARIPATA. 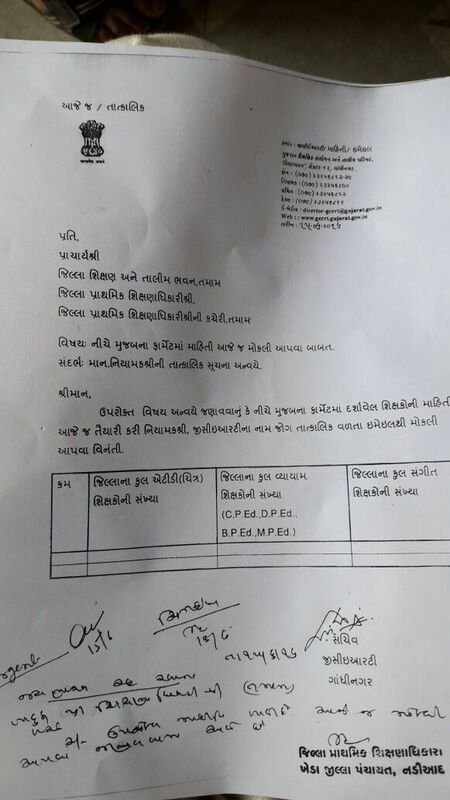 PANCHMAHAL :- JILLA VIKALP CAMP BABAT PARIPATRA | JILLAFER THI AAVEL SIXAKO PAN VIKALP LAI SHAKSHE. JILLA VIKALP CAMP PAHELA ONLINE BADLI CAMP KARVA JUNAGADH SIXAK SANGH NI RAJUAAT. 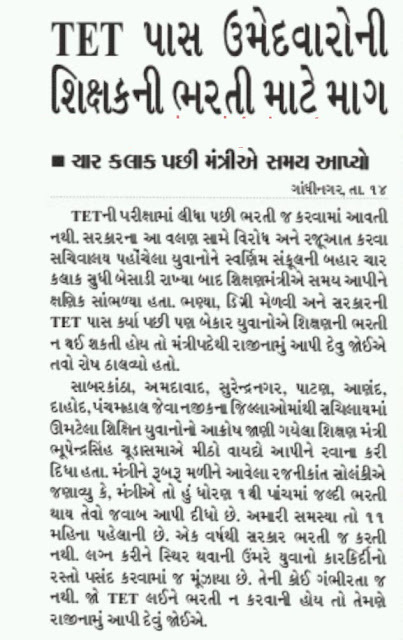 GOOD NEWS :- SEVEN PAGARPANCH : JULY SE CRNTRAL KARMCHARIO KO LABH. 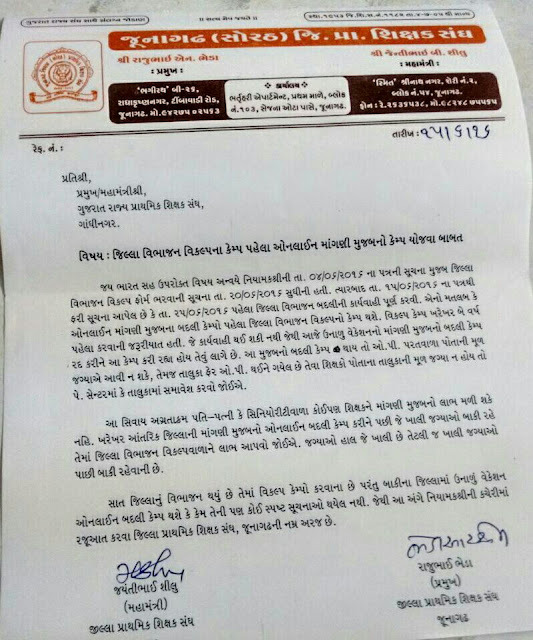 JAMNAGAR :- NAV RACHIT JILLA ANVAYE JILLA VIKALP PASANDGI BABAT PARIPATRA. 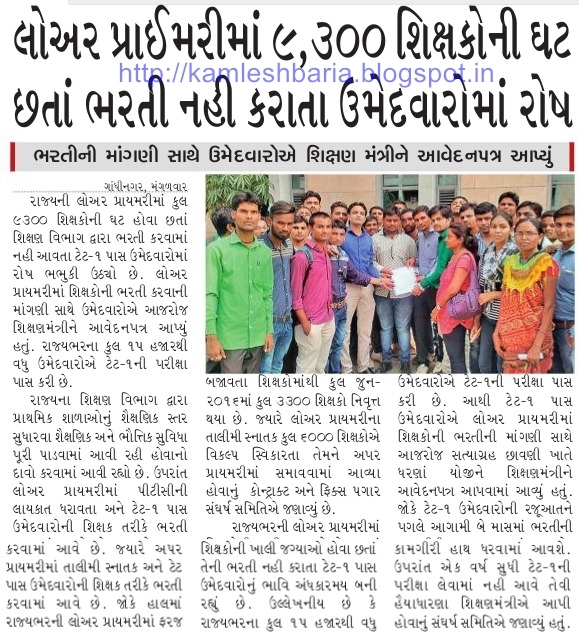 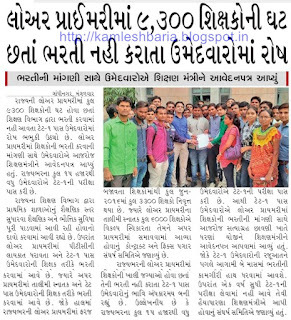 LOWER PRIMARY BHARTI :- 9300 SIXAKO NI GHAT...BHARTI SUDHI TET-1 EXAM NAHI LEVAY. 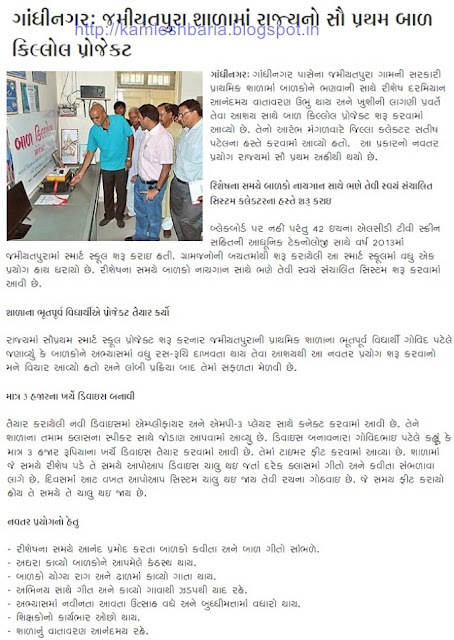 NEWS REPORT.